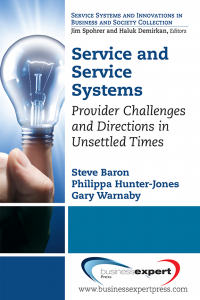 Steve Baron has carried out research in service(s) marketing for over 20 years, and has published findings in the main service journals as well as in mainstream marketing and business/management journals. He has co-authored a text on Services Marketing (now in its third edition) and was invited to edit a 4-volume “major work” on Service Marketing in 2010. His recent research interests include the practical application of the service-dominant logic (SDL) of marketing, and he was an invited member of the 2nd Otago Forum on the SDL. He is a regular attendee and presenter at the major Service(s) conferences, and is a committee member for the AMA Servsig International Research Conference.